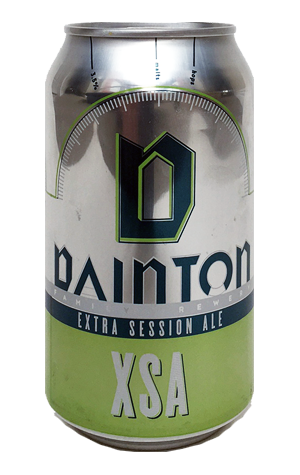 The second can to join the American Pale Ale as part of the evolving Dainton core range is the XSA. It's the latest entry into the local acronym lexicon, bastardising the "Is it really a style?" XPA (Extra Pale Ale) a step further to represent Extra Session Ale. In other words, imagine taking a session ale (whatever that means – in this case, something of mid-strength booziness) and then give it something extra (in this case hops). It's the Holy Grail for many brewers: creating a beer they're happy to hang the tag "craft" on in terms of character while keeping the alcohol low. And we imagine Dan Dainton and his team will be happy that they've achieved their goal here, creating a beer with plenty of fruity hop aromas and enough malt of the caramel variety to deliver both balance and a weight on the palate that makes it feel bigger than it is.